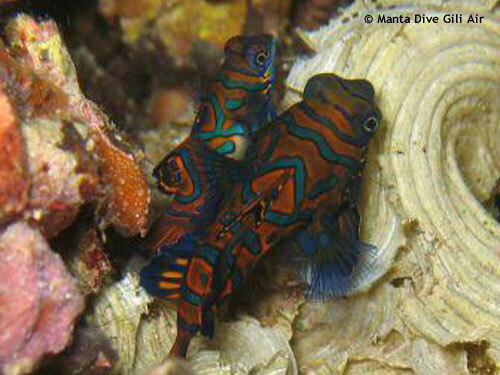 Located on the North of Gili Air, Hans Reef is a favorite dive site for macro divers. Here we have a nice variety of macro including many forms of nudibranch and shrimps. As with nearly all the dive sites at the Gilis you should see some of our resident turtles, and often there are juvenile bat fish on the highly populated block between 12 and 18m.